How Come My Real Estate Tax Went Up Even Though The Value Of My Home Went Down? 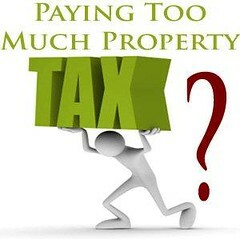 Ventura County determines your property taxes based on an assessment of the property’s value. Here in RiverPark these days you might get a notice that your property tax has gone up. Most likely, though your county assessment is too high. The county tells you this over-assessment can be resolved with an easy to fill out form, on-line. But that is not what we have experienced over the years we have been assisting other home owners. If you think that you are being over-taxed for your property was overvalued, a professional appraiser may be your best investment. One local homeowner is now saving over $3,000 in property tax each year. This is an area where a professional real estate appraiser can be of greatest help. There are several different procedures for appealing assessments, so it’s important to enlist the help of a professional appraisal firm that’s experienced and trained in the ins and outs of your particular jurisdiction. If other avenues are not productive, you will then attend the hearing on your assessment appeal and will want the appraiser to testify on your behalf. Be assured that at Ebert Appraisal Service, Inc., they are able to professionally and persuasively testify at appeal hearings. Browse their website to learn more about our qualifications, expertise and services offered.